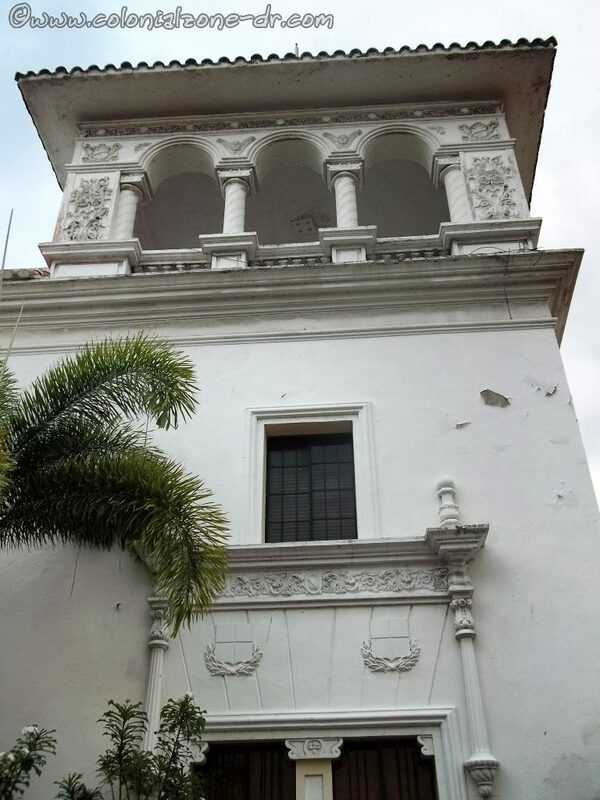 The beautiful historical building with the distinctive two towers was built in the 16th century by Diego Caballero, Secretary of the Real Audience. 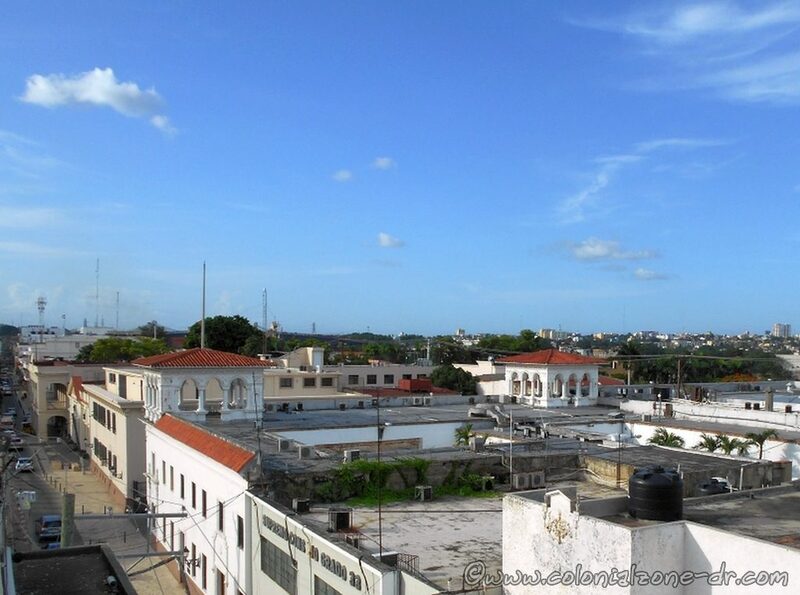 It is now the home offices of The Archbishop of Santo Domingo. 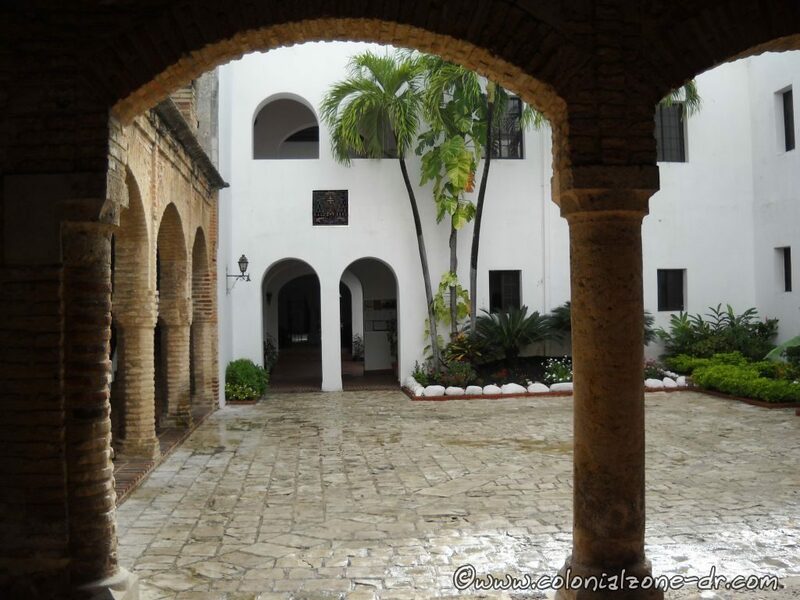 Sede del Arzobispado de Santo Domingo – Seat of the Archbishop of Santo Domingo. 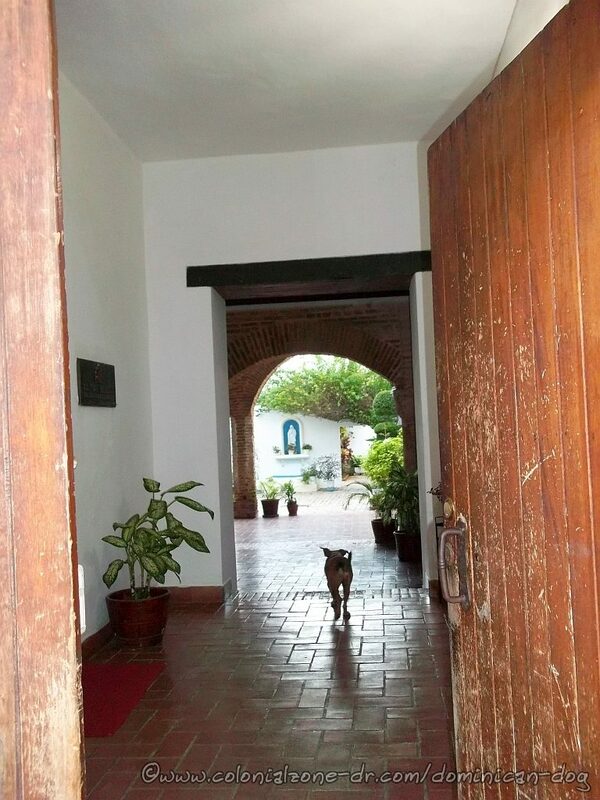 The House of Sacrament boasts a beautiful interior patio surrounded by large colonial pillars rising to both floors. It was originally two houses but in 1931 in was blended into one large building. The towers were added in the 16th century. 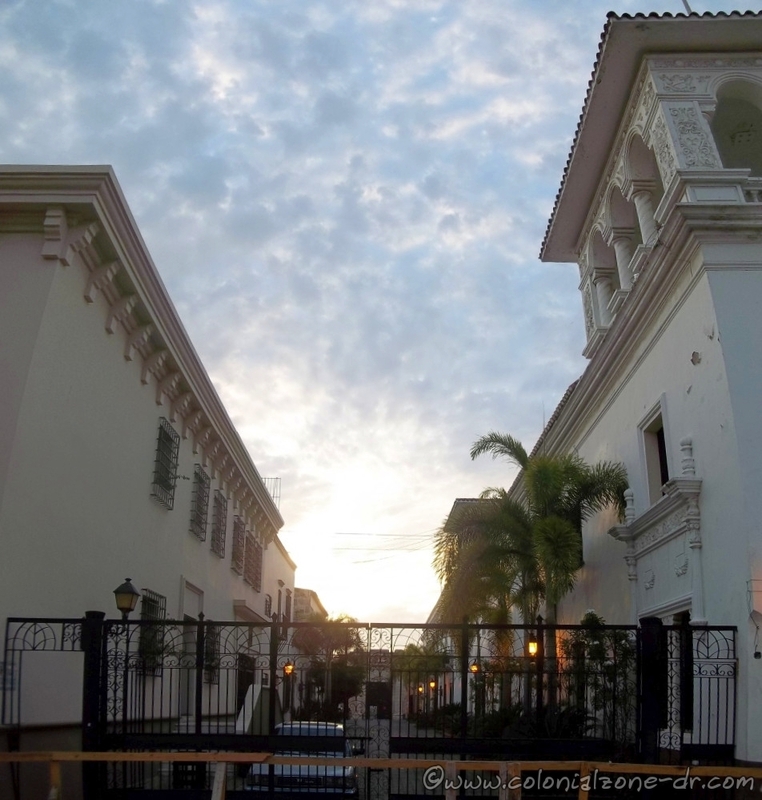 Casa del Sacramento has been home to many influential residents of Santo Domingo including the Garay family and later Alonzo de Fuenmayor, the first Archbishop of the Cathedral of Santo Domingo. 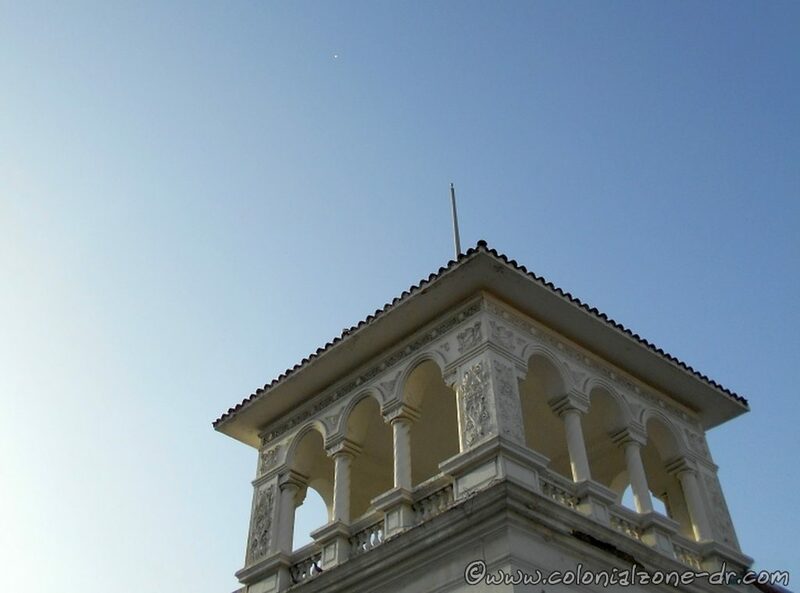 The building was the location of the living quarters of general Bernard Phillipe Alejo Carré and The Satisimo Sacrament during the Haitian occupation of the island. 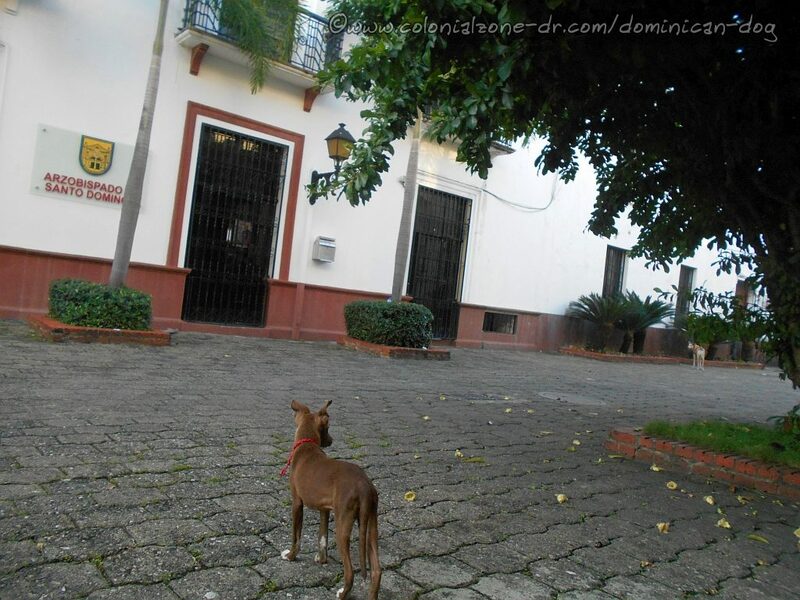 It became an annex of the University of Santo Domingo in 1905 and also housed the Servicio Militar Obligatori / Obligatory Military Service during Trujillo’s reign. An interesting legend surrounding the house. When the family of Don Luis Garay was occupants of this house they had a very traumatic experience. The families pet orangutan was playing with one of the Garays sons. The orangutan took the child to the roof of the house. It looked like the monkey was going to throw the boy from the roof. His mother was frantic and could do nothing to save her son who she thought was in peril so she got the Archbishop to come and help. The mother offered her home to the Archbishop in exchange for the life of the son. Finally the son was returned to his bed without incident. 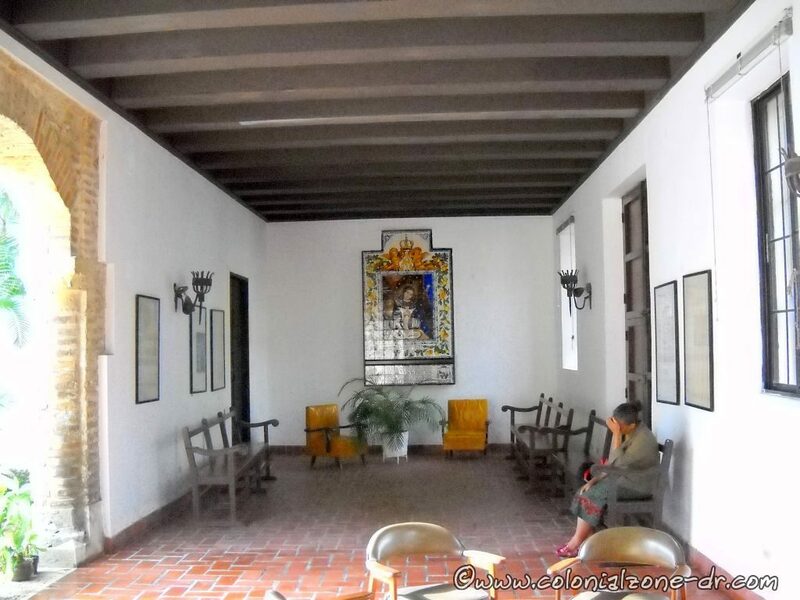 The family kept their word and Luis Garays wife gave their home to the Arzobispado de Santo Domingo. This is the legend about how this beautiful historical building came into the hands of the church. Calle Isabel la Católica #55 and the corner of Calle Pellerano Alfau. It is located across from the First Cathedral in the Americas.